The 7th conference "Solar Technologies Go Hybrid", which took place from October 3rd to 5th at the Hotel Melchior Park in Würzburg, attracted more than 150 participants. 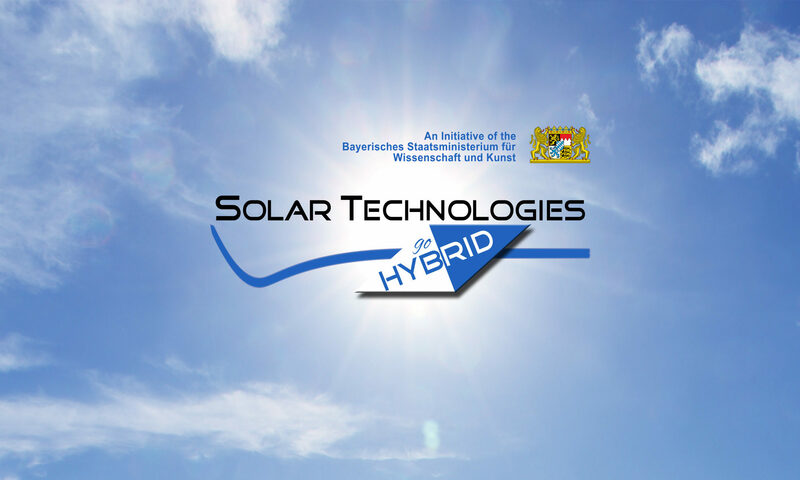 Scientists from the five participating Bavarian universities (Key Labs in Bayreuth, Erlangen-Nuremberg, LMU and TU Munich and Würzburg) as well as representatives from industry and invited international experts exchanged insights on the current state of research in the field of photovoltaics and the conversion of sunlight into chemical energy. An example of this is photocatalytic water splitting, in which water is split into its constituents, oxygen and hydrogen, with the aid of artificial molecules or nanoparticles in a defined (macro) structure by means of sunlight in a process mimicing natural photosynthesis. Another major topic was the development of hybrid (in)organic solar cells which expected to be used as cheaper and more efficient alternatives to solar cells based on silicon for direct electrical power generation in a wide variety of applications. Here, a clear focus in the direction of perovskite structures as photosensitizer and semiconductor materials could be noted. The highlight of the conference were six presentations by renowned international scientists (Laura Herz, University of Oxford, UK, Heinz Frei, Lawrence Berkeley National Laboratory, US, Gary Brudvig, Yale University, US, Anders Hagfeldt, Ecole polytechnique fédérale de Lausanne, CH; Iván Mora-Seró, University Jaume I, Castelló, ES, John Lupton, University of Regensburg) and a contribution from an invited expert from industry (Andre Weiß, Heliatek, Dresden). In addition, the current state of research from the key labs involved was presented in 22 lectures and 65 posters. The latest findings, materials and procedures were discussed, such as how future electricity generated from sunlight or synthetic fuels can be obtained in a climate-neutral manner and thus conserved, stored and used in an environmentally friendly way. The conference was preceded by a two-days workshop of the student members of the consortium, where laboratory tours and know-how transfer took place. The workshop was initialized to discuss career paths and opportunities with former PhD students, an aspect which is of particular importance for the consortium’s promotion of young researchers.